As summer looms larger, the weather heats up and things start to get a lot dryer. Areas of California, Arizona, Nevada and Texas are seeing historically severe droughts. States, counties and cities are responding by implementing drought-reduction regulations. Many of these are restrictions on the draining and refilling of pools, as well as chemicals being used in the water. Below are some tips for pool professionals to help keep the water quality at its best and reduce the need for unnecessary or excessive pool draining. According to the National Swimming Pool Foundation (NSPF), 50 percent of heat loss is due to evaporation. In warmer and dryer areas, the annual rate of evaporation can be as high as six to eight feet per year. Average-sized pools in warm-weather states, such as California, can lose their entire contents to evaporation within a year. When water evaporates, only pure water leaves the pool. Hardness and TDS increase faster when the evaporation rate is higher. Loss of water and buildup of solids in the pool will lead to the need for draining and increase in chemicals. Try to encourage clients to minimize use of water features as well. Aeration from waterfalls and fountains can increase evaporation rates. Many regulatory agencies in dry, drought regions are requiring the use of a solid or liquid cover to reduce evaporation water loss. Pool covers can help maintain healthy water levels; however, not every homeowner has one. Liquid covers are very economical and effective. One dose can last for up to one month and provides 30- to 50-percent reduction of evaporation, making them a good alternative. Liquid solar covers use a technology that goes back to the early 1950s for the reduction of evaporation in drinking water reservoirs. They are basically nontoxic, fatty alcohols that form the minute layer on the pool. This creates high water surface tension, which reduces the amount of evaporation, particularly at night and early morning when the air is cooler than the water. Liquid solar covers are usually emulsions of the fatty alcohols blended with dispersants to help spread the layer across the water. For this reason, it is important to shake or blend well before adding. Typical doses are four to eight ounces added weekly or monthly. Frequently used pools or pools with fountains would require higher dosing, because the added water turbulence will increase the surface area of the water that is being exposed to the air. 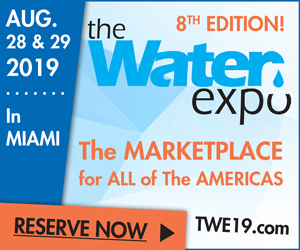 To preserve precious water, we need to be aware of how chemicals affect water balance and to choose products that are more neutral, such as oxidizers, clarifiers and phosphate removers. These are products that remove contaminants while leaving fewer undesirables behind. Oxidizers, for example, work to effectively break down organics before they can become dissolved and contribute to TDS. Similarly, clarifiers work to remove micron-sized organics that lead to algae growth and decreased water quality. This helps to prevent the buildup of combined chlorine, which could increase the need for superchlorination. Any increase in use of chlorine will lead to an increase in dissolved solids. There are certain chemicals that will affect calcium hardness and TDS more than others. For example, calcium hypochlorite leaves calcium behind in the water. Tri-chlor or di-chlor will leave behind cyanuric acid; it may be best to avoid these as well. Over half of a tri-chlor tablet is made up of cyanuric acid. Consider that for every part per million of chlorine from a tri-chlor tablet there is 0.6 ppm of cyanuric acid being added. High cyanuric acid contributes to high TDS, which creates more demand for chlorine. Cyanuric acid acts as a stabilizer for chlorine to prevent degradation of free available chlorine from UV rays. It does, however, also contribute to TDS. When TDS levels reach 1,500 ppm over fill water, then the effectiveness of the chlorine will be reduced and could eventually necessitate the draining the pool. Continual use and shocking with a cyanuric- or calcium-based chlorine should be carefully considered. These lead to an increased need for sodium carbonate and sodium bicarbonate—again something that puts more dissolved solids in the water. Any form of chlorine or shock will leave dissolved solids behind in the water. While this can’t be avoided, it is best to determine what may lead to a more immediate need to drain and dilute. High levels of calcium and cyanuric acid are two primary byproducts that can be more detrimental to overall water quality. A better option for shocking would be liquid chlorine or a non-chlorine oxidizer. During times of drought, it may be advisable to avoid the use of calcium hypochlorite-based shocks. Phosphates are a part of TDS; if phosphates are regularly lowered, then TDS buildup will be reduced. Higher phosphates can lead to many water quality problems that could lead to the need for draining and more frequent backwashing. Look for a concentrated phosphate remover to deal with high phosphate levels. Phosphate removers work by using lanthanum, a rare earth metal that serves to take soluble phosphates and make them a solid. The solid phosphate drops out and is removed from the water via the filter. Another vital way to ensure quality water is to proactively remove the buildup of non-bacterial contaminants by oxidizing and using a clarifier. 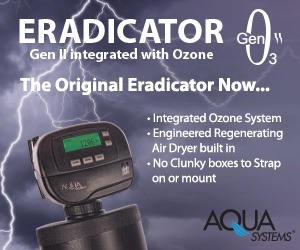 Oxidizers work by breaking up organic contaminants and clarifiers make smaller, micron-sized contaminants larger and more filterable. The result is more removal of contaminants to the filter and better overall water quality. Look for a natural clarifier for the removal of organics and suspended materials, which helps keep the water clear. It also ensures that other chemicals are free to complete their intended purpose. Remove more, add less During a drought, the mantra needs to be ‘remove more, add less.’ This refers to how the water should be treated. In short, aim to remove more organics while adding less solid byproducts. 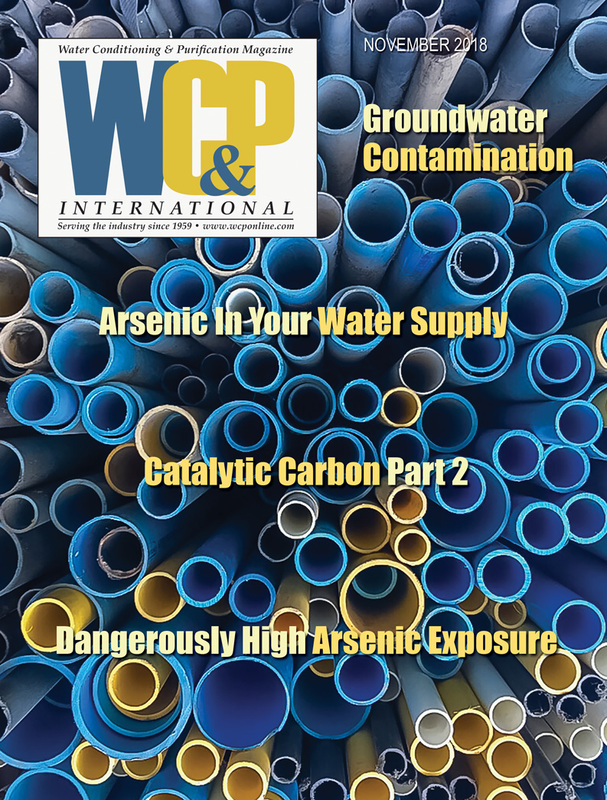 When using any chemical, stop and ask yourself: “What is this leaving behind in the water?” Oxidizers, clarifiers and phosphate removers all improve water quality while removing contaminants that can cause problems. Avoid over-chlorinating as much as possible. Be aware of how chemicals affect water balance too and choose chemicals that are more neutrally based. Also, avoid cleaners and metal products that contain phosphates. As a pool pro, taking the time to be proactive and aware of how chemicals affect water will help you get through drought times with minimal need for draining. Some technicians do other tasks while backwashing. As a result they end up wasting more water than necessary. Instead, keep a close eye on the sight glass and turn off the valve as soon as the water is clear. Also, try oxidizing more. Use enzymes and clarifiers to remove undesirables. This will help reduce the need to backwash. It’s important to top off the pool to maintain a healthy water level. But some technicians have a tendency to overfill, or worse, they accidentally leave the water on, potentially wasting hundreds of gallons of water. We can’t afford to waste water in this climate. So, here’s a tip: clip your keys to the hose bib. That way you won’t forget to turn off the water before you leave. S Terry Arko has more than 30 years of experience in the swimming pool and spa industry, working in service, repair, retail sales, chemical manufacturing, customer service, sales and product development. 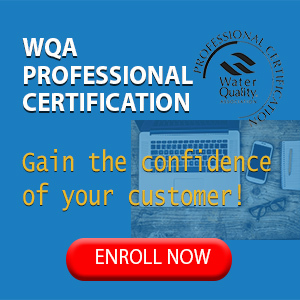 A certified pool operator (CPO) and CPO Instructor through the National Swimming Pool Foundation (NSPF), he is currently a Water Specialist for SeaKlear Pool and Spa Products. He can be reached at tarko@seaklear.com. S SeaKlear is a subsidiary of HaloSource Inc., a clean water technology company based in Seattle, WA.